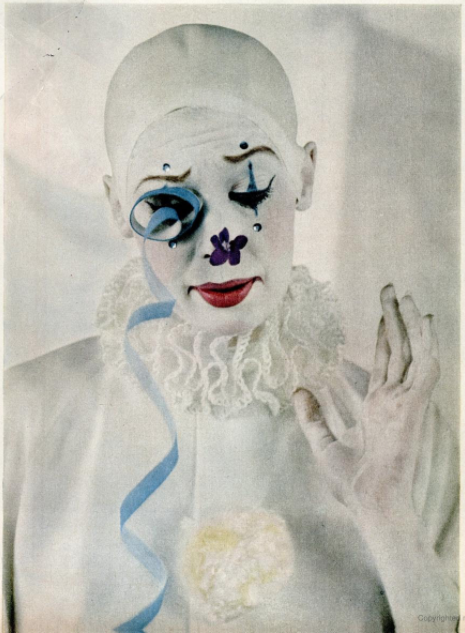 What actress, most famous in the 50s and 60s, lurks beneath this makeup? If only Hollywood had made John Carter of Mars in 1979, with Cher as Dejah Thoris, they would have had a surefire hit! 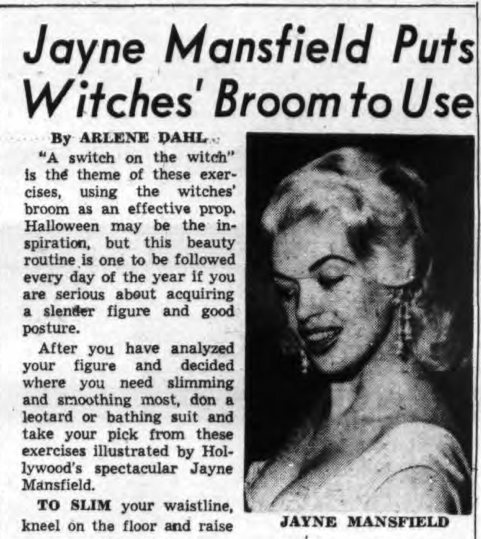 For witches-in-training concerned about their figures, Jayne Mansfield offered some tips on how to exercise with a broomstick. 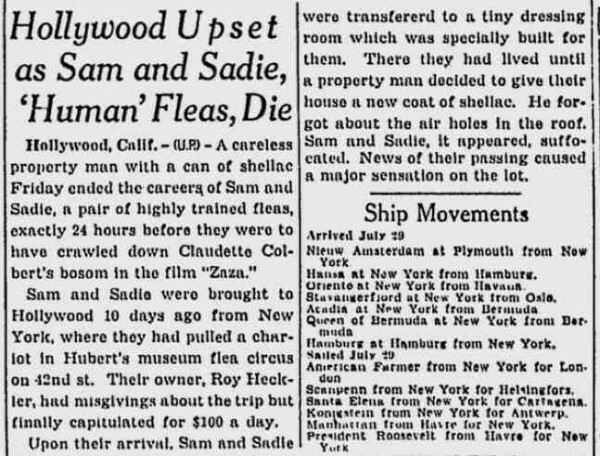 From the Long Island Star-Journal, Nov. 3, 1961. To slim your waistline: kneel on the floor and raise a broomstick high above your head with both hands, one on each end of the stick. Now, keeping your back straight, bend slowly to the right side until the end of the broom touches the floor; then alternate to the left side. Start with 25 and work up to 50. To help improve your posture and eliminate protruding shoulder blades: kneel on the floor holding the broomstick high above your head. Now, bend your elbows as you slowly lower the broomstick down behind your back, gradually straightening your arms until the broomstick is even with your lower hips. Raise broomstick back to beginning position and repeat exercise 10 times, eventually working up to 25. 1) Brenda Vaccaro is scary and threatening. 2) Not a mother, but will have her say anyhow. 3) Plastic better than cardboard? 4) Giant swimming pool = all the embarrassing flood dangers women risk if wrong tampon is chosen. Yes, my title is a really lousy rendition of the "Go ahead, make my day" line as uttered by Clint Eastwood in Sudden Impact. But it's relevant because this post is about a website dedicated to some of the cheesiest lines ever spoken in action movies. The Quotable Action Hero blog is guaranteed to waste at least fifteen minutes of your life. So what's weird about it? It may just be a matter of opinion, but these are not your typical quotations. In fact, if the blog author didn't include the movie's name along with the quote, I would have no idea where most of these lines came from. What do you think? Once you have experienced the 1968 film PSYCH-OUT, you will be unable to return to your square, plastic, uptight lifestyle. Just the sight of Jack Nicholson's fake ponytail alone will trip you out! TV newscaster George Putnam has died. Read his LOS ANGELES TIMES obituary here. Putnam was frequently cited as the inspiration for the Ted Baxter character on THE MARY TYLER MOORE show. Make your own judgment based on the videos below. 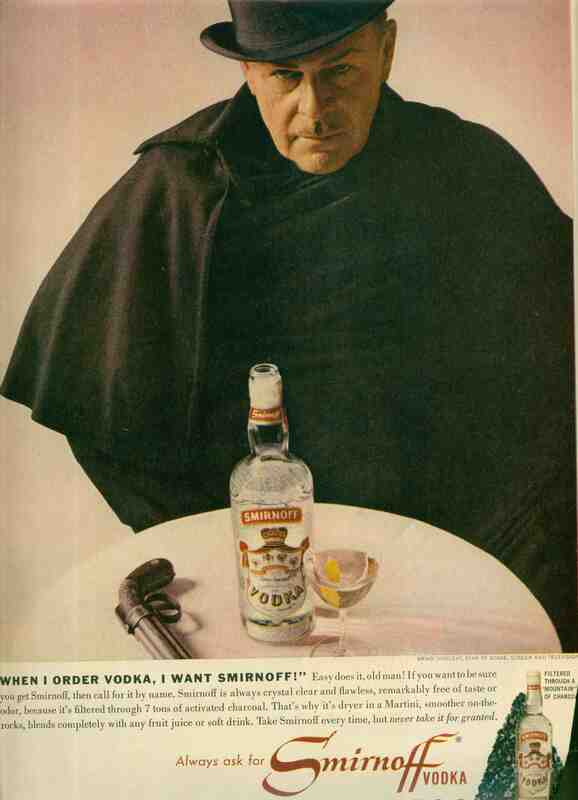 Our booze appeals mainly to Eighteenth-century highwaymen. I'm just now recovered from my viewing of THE WILD WOMEN OF WONGO. But I still cannot say what my favorite moment is from the film. Perhaps the wild dance ordered by the High Priestess. Perhaps the endless scene where our heroine, the cute-as-a-button redhead Jean Hawkshaw, to the right here, wrestles underwater with a rubber alligator. You'll have to decide for yourself. First, take a look at the unfortunately bleached-out trailer. Then view the whole film--in glorious "Pathecolor"--on YouTube, in several parts, with the first one featured after the trailer. Also on YouTube is the MST3K version.